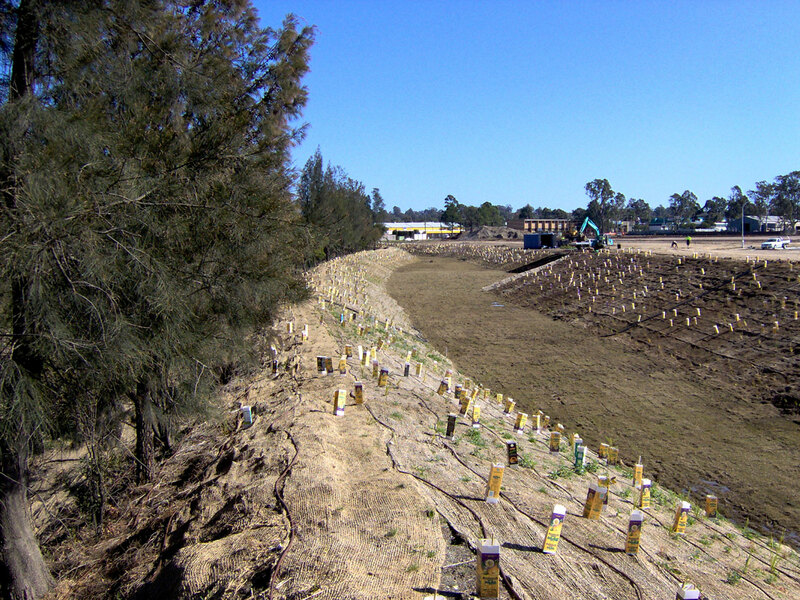 Following much detailed planning and liaison with the Department of Natural Resources and our Client Australand Holdings Limited, final planting works were completed in August 2006 for a major riparian revegetation project designed by Peter Glass and Associates. 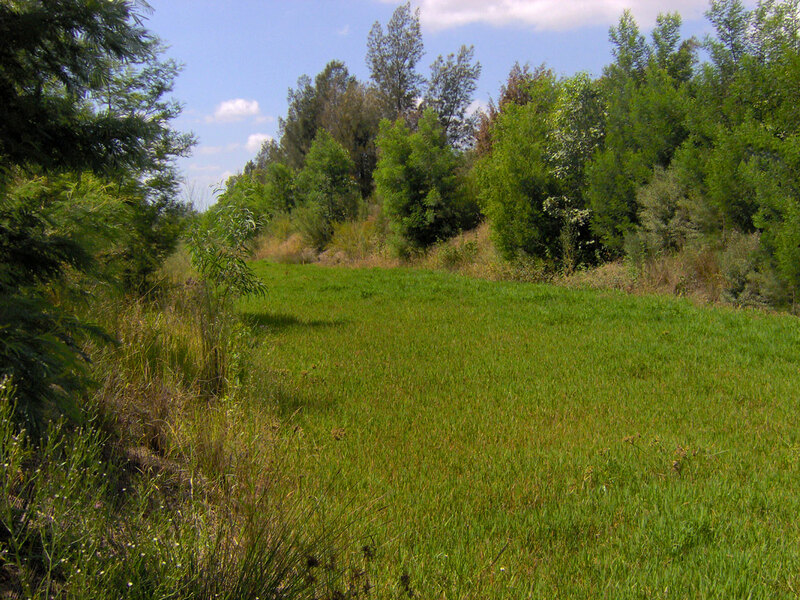 This environmentally sensitive project is located at Seven Hills, adjacent to Blacktown Creek. 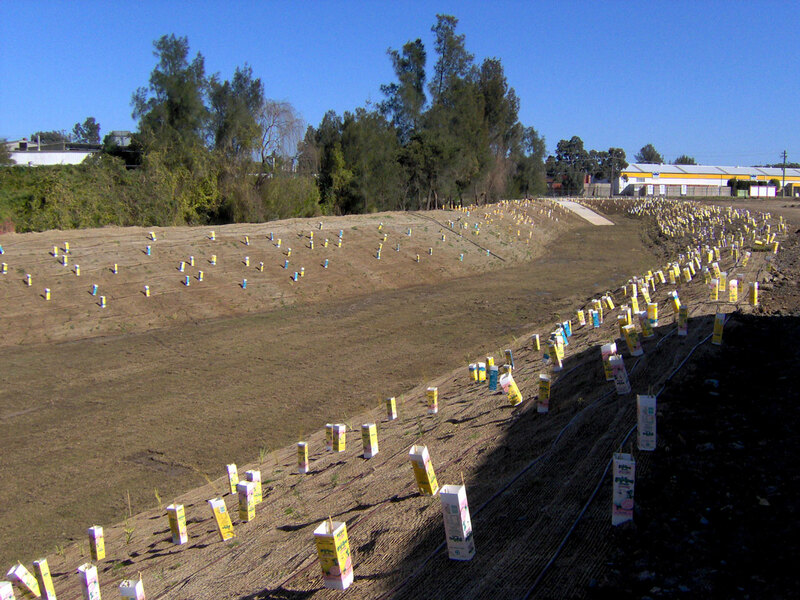 It involved the planting of 27,000 new trees, shrubs and groundcover plants along an 800 metre long section of a water to detention facility adjacent to this previously degraded waterway, together with the remediation and revegetation of selected sections of the banks of Blacktown Creek itself. The essence of the overall design, in conjunction with BMD Consulting Engineers, was to detain and filter stormwater runoff from Australand’s adjacent new industrial estate and to provide off-line water storage to mitigate flood events on Blacktown Creek. In accordance with strict Department of Natural Resources guidelines all plant material was propagated from seed material collected from endemic plant species of local provenance. The tree species planted included a large range of Melaleucas, Eucalypts, Angophora, Casuarina, Backhousia and Turpentine. 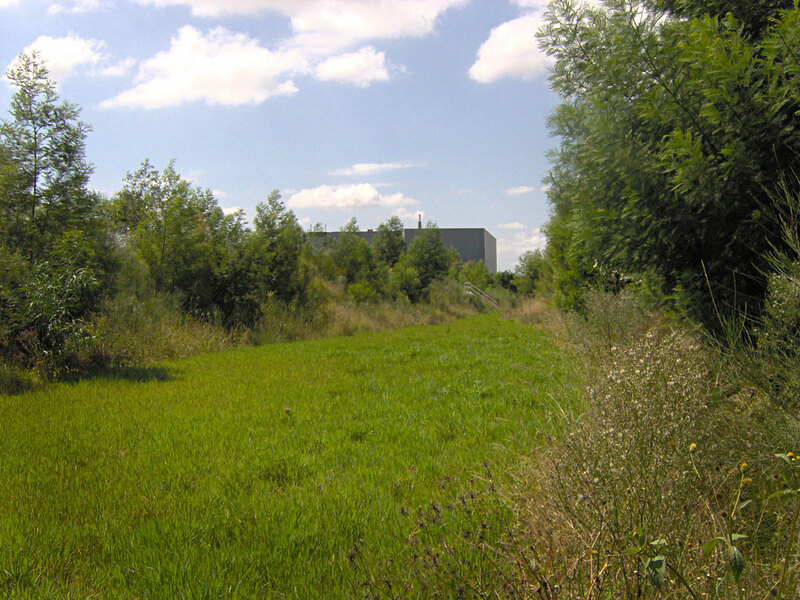 The planting works were installed by Hargraves Landscapes, who maintained the project for the next three years. 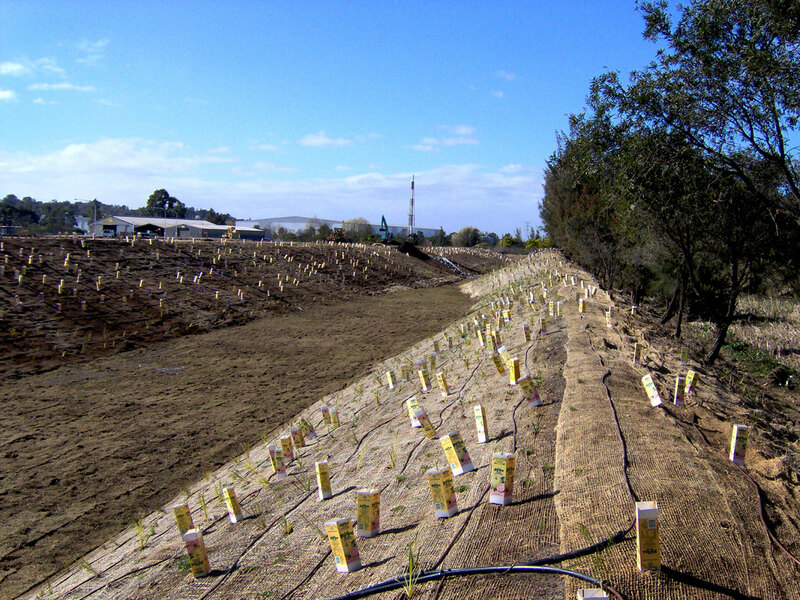 At the completion of the routine maintenance period the revegetation was fully matured and able to be self-sustaining with minimal attention.